Social media and guerrilla marketing seem like a match made in heaven. Videos, images and stories seem more likely to go viral across the social networks when combined with creative marketing. I’m going to break the ill-conceived notion that says bloggers should limit the number of videos to just one per post. Hogwash, I say! Sometimes just one just doesn’t cut it. 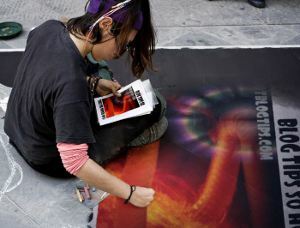 Do you like Guerrilla Marketing?